Google SEO Snippets Video: Multiple Sitemap Files | The SEO Dr.
Today’s question is about sitemap files. 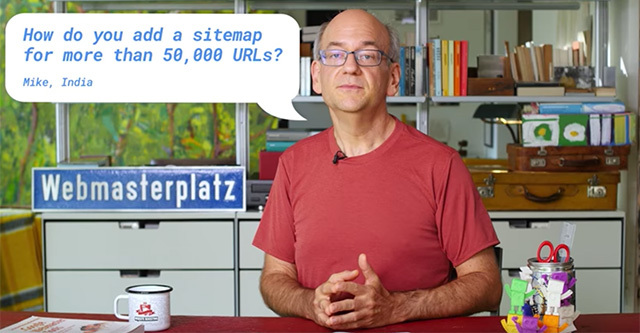 Mike from India asks, how do we add a sitemap for more than 50,000 URLs? Sitemap files are a great way to make your content known to Google and to other search engines. However, they’re limited to 50,000 URLs per file. When it comes to creating sitemap files, we strongly recommend that you have these made automatically through your server directly. That’s the best way to make sure that your new and updated content is highlighted to search engines as quickly as possible. Most modern content management systems will take care of this for you. Often, it is just a matter of flipping a switch in your control panel to turn these on.